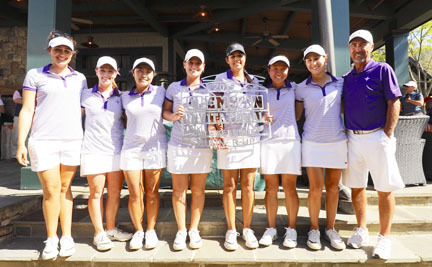 The 8th ranked Furman’s Lady Paladins finished second for the second straight year at the Clemson Invitational. The Furman Lady Paladins finished as the runner-up at the Clemson Invitational for the second straight year. The 8th ranked Lady Paladins finished two shots behind 6th ranked Florida State for the championship. The Lady Paladins finished one place in front of 5th ranked Florida, the team that topped Furman for the title in the event last year. “I am very proud of the way we played today,” said Furman head coach Jeff Hull. “We were in it the whole round and just couldn’t get any putts to fall,” he said. Alice Chen finished as the runner-up in the Clemson tournament for the second straight year. Alice Chen also finished second for a second straight year. The Furman junior had led the first round and shot a final round even par 72 to share second place. A pair of Gator golfers Maria Torres and Sophia Shubert tied with Chen for runner-up honors. “I was very pleased with Alice’s performance. 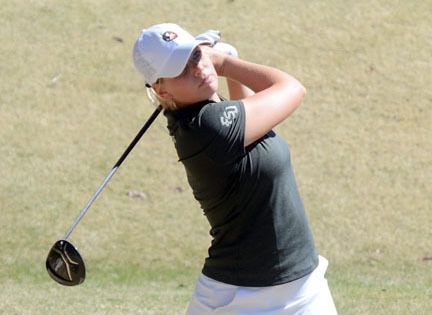 She played very well shooting -7 and finished second,” said the Furman coach. Matilda Castren of FSU won the individual championship. Castren had the lead going into the final round and posted a 2-under par 70 to finish at 9-under par, two shots in front of the three golfers tied for second place. Clemson’s Alice Hewson had the best round on the final day shooting a 4-under par 68 and moving up to 8th place. 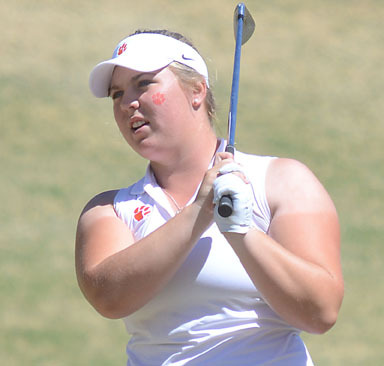 The best round of the final day was turned in by Clemson golfer Alice Hewson. Hewson shot a 4-under par 68 to climb 23 spots in the individual competition. Hewson’s outstanding round moved her into a tie for 8th place with three other golfers. The Clemson team finished 9th at 18 over par for the 54 hole event. Sydney Legacy was the only other Tiger to finish in the top-25. Legacy finished at 2-over par and in a tie for 22nd place. Second round leader Matilda Castren of FSU won the individual title by 2 shots over three golfers. 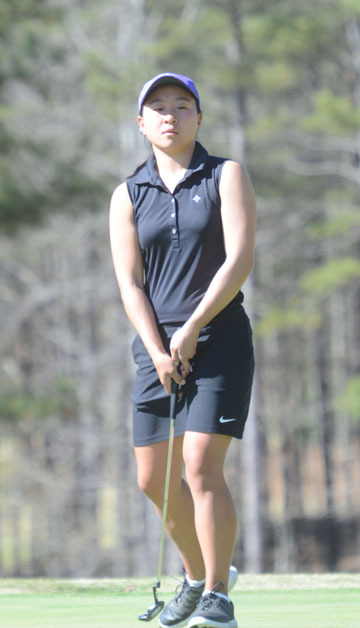 In addition to Chen the Lady Paladins placed three other golfers in the top-15. Freshman Natalie Srinivasan finished at even par for the tournament and claimed 12th place. Reona Hirai and senior Taylor Totland each finished at 1-over par for the tournament and in a tie for 15th place. Reona Hirai and senior Taylor Totland each finished at 1 over par for the tournament in a tie for 15th place. In just its second year the Clemson Invitational included an outstanding field as 7 of the top 30 teams in the country and 24 of the top 100 golfers competed in the event at The Reserve at Lake Keowee. 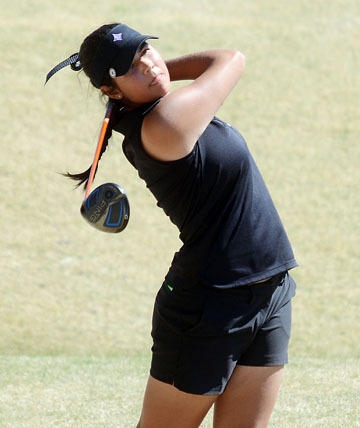 Furman freshman Natalie Srinivasan finished 12th at even par for the tournament. “We played very well, but just came up a little short. This was a strong field on a tough course that will be good prep for regionals,” concluded Hull. The Lady Paladins will next play at The Brickyard Intercollegiate in Macon, Georgia on April 11-12th. Clemson now prepares for the ACC Women’s Championship to be played at The Reserve Club on Pawleys Island starting on April 13th.